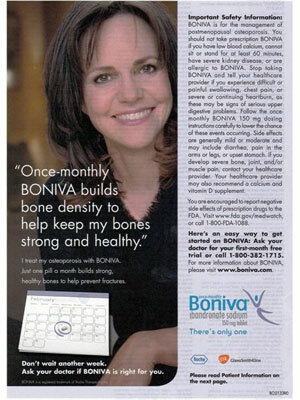 Sally Field (born Sally Margaret Field on 6 November 1946 in Pasadena, California), is an American actress and singer. 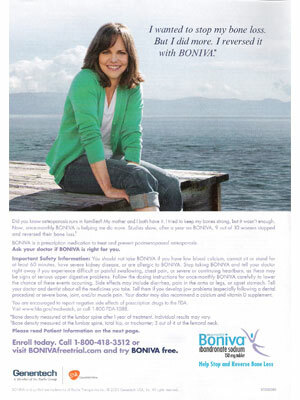 She starred in the TV shows Gidget, The Flying Nun, Sybil, ER, and Brothers & Sisters, and in the movies, Smokey and the Bandit, Steel Magnolias, Mrs. Doubtfire, and Forest Gump. 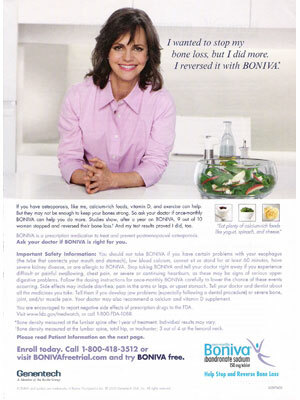 Sally Fields is a spokesmodel for Boniva.